Environment, Law, and History: Domestic law instead of international agreements? The restoration of the Rhine basin is widely viewed as an exemplary case of international water protection. The river’s clean-up has been characterized by a number of puzzling developments. These include chemical companies reducing their toxic effluents by more than legally required, and riparian governments quarrelling internationally over environmental measures that each of them were undertaking domestically. It is argued that the plural rationality (or cultural) theory pioneered by Dame Mary Douglas offers an empirically valid explanation of these remarkable processes. The efforts to stop the environmental degradation of the Rhine between 1963 and 1986 were paradoxical. The attempts to do so with the help of international agreements were ineffective at best, and counterproductive at worst. Yet, simultaneously, the domestic efforts to clean up the Rhine were quite effective in each riparian country. 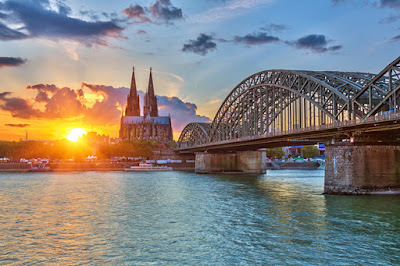 In 1976, after years of tense negotiations, both the Convention on the Protection of the Rhine against Chlorides and the Convention on the Protection of the Rhine against Chemical Pollution were signed. The first of these was not ratiﬁed until 1983, and never implemented to any signiﬁcant degree. This non-compliance even resulted in the recall of the Dutch ambassador from France in 1979. The Chemicals Convention was equally unsuccessful. It called for the establishment of ‘black’ and ‘grey’ lists of toxic substances. The black list was to contain the most dangerous chemicals, whose reduction needed priority. Grey-listed substances were considered somewhat less toxic, but still in need of regulation. Between 1976 and 1986, only three chemical substances found their way onto the ICPR black list. The insigniﬁcance of this number becomes apparent when one realizes that the European Commission had drawn up a list of some 1500 chemical substances suspected of being toxic. Meanwhile, the same ministries that were ﬁghting in the international arena were setting up elaborate water protection programmes at home. Between 1970 and 1987 the levels of many toxic substances in the Rhine were reduced by 60–80%. Part of this achievement has to be attributed to the domestic water protection policies developed in the Rhine countries. In each of these countries, a command-and-control system for water protection was set up. Point-source dischargers (municipalities and large ﬁrms) were required to obtain permits for their discharges of wastewater into rivers and lakes. This made it necessary for them to build sewage treatment plants from the late 1960s onwards. In addition, riparian governments levied a water pollution tax on companies and cities. Nevertheless, these domestic protection policies cannot receive the sole credit for the clean-up of the Rhine. Remarkably, the large chemical ﬁrms along the river often took measures that went beyond the required legal standards. Non-governmental organizations (NGOs) also played their part by organizing large-scale protests, suing salt mines, and, in 1983, holding a much-publicized International Water Tribunal. The restoration of the Rhine watershed from 1963 until 1986 was therefore characterized by a paradox: within each riparian country, national and local governments, as well as large corporations, had begun to significantly reduce their release of toxic effluents into the basin, while at the intergovernmental level discord about how to reduce the pollution of the Rhine abounded. Several processes were involved in the making of this puzzle. First, until the end of the 1980s, the domestic water protection programmes in all Rhine countries took the form of command-and-control systems. These approaches worked reasonably well within the Rhine countries. Yet these approaches all differed from each other – for instance, some relied on effluent limits, others on water quality standards. As each national delegation to the ICPR tried to impose its own method of organizing water pollution control on the other delegations, it proved difﬁcult for them to agree on a single command-and-control approach at the international level. A second factor that hampered the intergovernmental deliberations until 1987 was the insistence on following the formal procedures of international public law. This was a slow process with many veto points, as it required unanimous agreement among the governments of the riparian countries, and ratification by their parliaments. Moreover, the governments appeared weary [sic] of committing themselves to agreements that are legally binding under international public law.